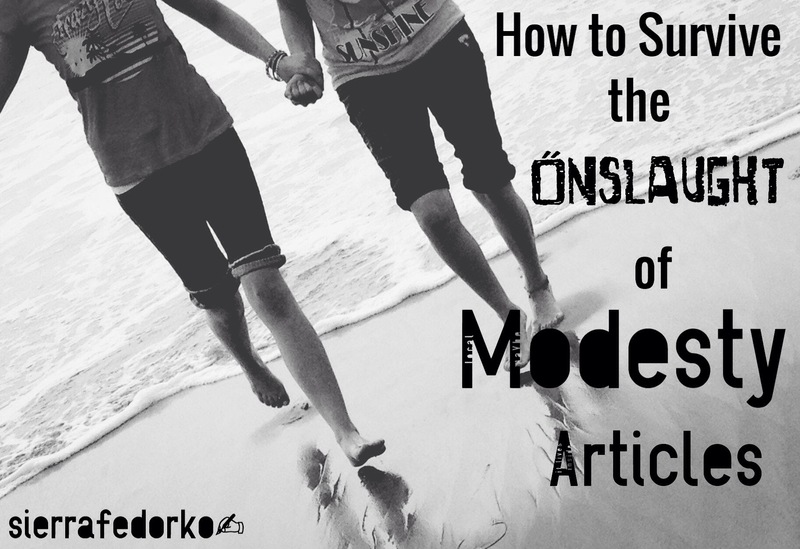 I have purposefully stayed away from writing about modesty for quite awhile now. Even so, this post will NOT be written about modesty. It will be written to let girls know how to survive this mad onslaught of modesty articles that hit our Newsfeed seemingly every day. This is for the young women who need advice on how to get through this whole obsession with modesty. I have become greatly frustrated with blog posts about modesty, because just about every single one that I read has pounded me further into the ground. It goes something like this. First Sentence: You are a woman, and it is a truly beautiful thing. Second Sentence: POUND! You are dressing wrong. You are living wrong! What are your motives? HUH? HUH? Third Sentence: POUND POUND POUND! You need to do more of this. And less of this! And by the last sentence of the entire blog post you are ready to blow something into the sky, because they didn’t really help you. They judged you. Picked apart your motives that must be vile, and then broadcasted the insecurities that you must have because after all…you are a woman. AHH! But this blog post isn’t about other blog posts written about modesty. We have enough of that already, don’t we? This is written so that girls can survive this mad onslaught of opinions. This is practical stuff so young women can avoid being badgered by every other opinion about modesty. So, here we go. 1. Instead of listening to the millions of social opinions about modesty, ask your mom or another woman that you trust. The advice and opinions that really matter are probably not the ones that you will find on social media. While some articles may be helpful, most are not. Instead of reading every blog post about modesty, ask your mom for her opinion. If you don’t have a mom that is able to give you that advice, then ask a woman that you trust what she thinks about it all. 2. Don’t just take her advice as final word, study the Bible for YOURSELF. 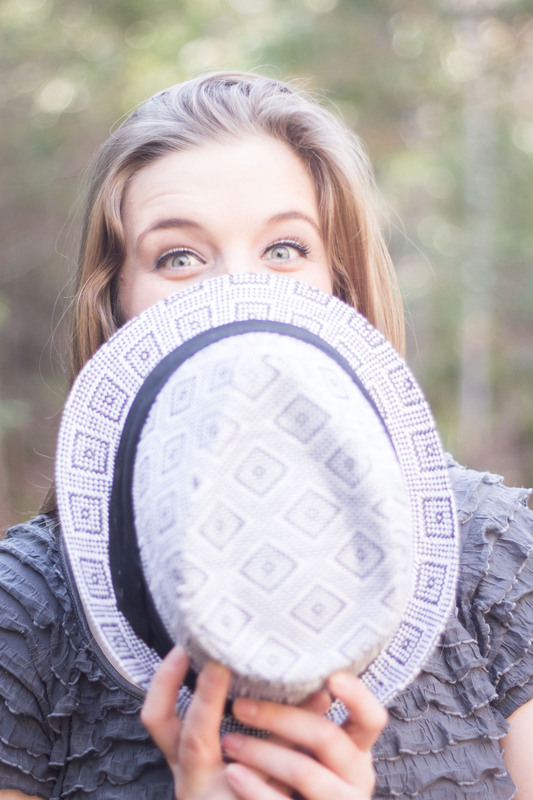 Find out what the Bible says about womanhood! You will no doubt be amazed at what God has said about the woman. Don’t take the opinions and venting blog posts of others for your foundation (that includes this one!). God has truer things to say than a blog article will ever cover. So find the verses and study them! 3. Go ahead and skip that modesty article on your Newsfeed. Unless this article is posted by a close friend or a woman that you trust, avoid the heated anger and confusion that may come because you don’t agree with what the writer has to say about modesty. You don’t need to read absolutely every article that has ever been published to have a solid foundation for your standards of modesty. So be wary of the articles that you decide to read. 4. It’s OK that standards are different. They will be different. The thing about Christians is that we do not have the same standards about everything. And I have found that Christians can be the worst at accepting this fact! Anyhow, the way we dress will not be the same. After you study the Bible and gather advice from women that you trust, then it is time to form your standards. Remember it is OK when your standards look different than the Christian woman next to you. If you don’t agree with what she is wearing, don’t judge her. You don’t need to assume her motives. You are only accountable for the motives of you. So, those are the motives that you should be concerned about. 5. Take comfort in the fact that you & God know the truth about your motives in the way you dress. Yup. Someone is gonna judge you. Yup. It’s not fair. Yup. You can’t change it. Yup. You will never be liked by everyone and your standards will be different than a handful of people. Maybe even a lot of people. Guess what? In all sincerity, God knows your heart. This is encouraging and sobering! He understands your motives, and He loves you. God knows when you are seeking to glorify Him in the way you dress, and God knows when you are seeking to please yourself in the way you dress. Take great joy in the truth that He KNOWS. So, it doesn’t matter what that lady from who-knows-where says about you and your motives. If you and God know that your sole desire is to please Him by the way you dress, then the opinions of others don’t matter. You and God know the truth about your life. The End. Thank you for reading & commenting! I’m so glad you took the time. 🙂 & so glad you agree! That is so true! I love that “it is foolish to try and please anyone other than God.” What a wonderful truth! Love you too.